One thing that always kind of charmed me about death metal is how it is prone to flights of fancy. 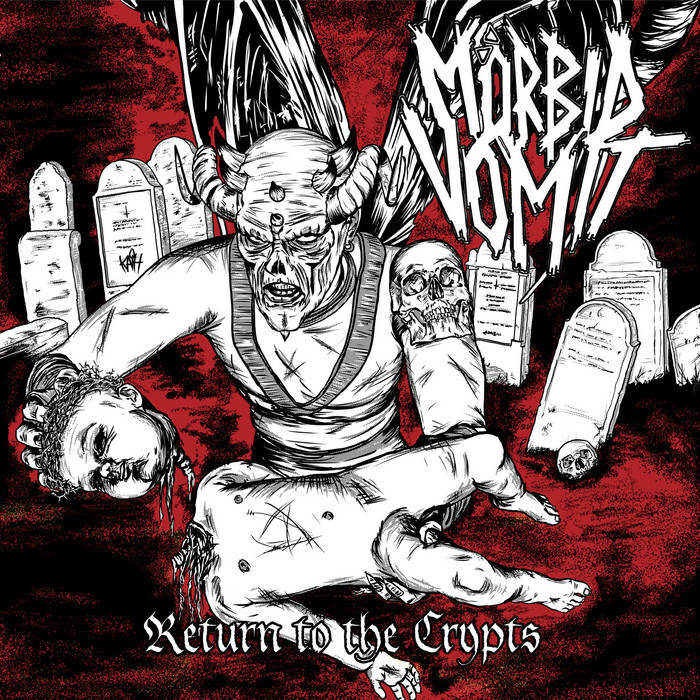 I mean - the music can remain visceral and brutal, but there is definitely an element of silliness that can be found in record like Return to the Crypts by Morbid Vomit. Incredibly vicious and deliciously vile Morbid Vomit rage from bottom to top and tear out throats until you can't handle them anymore. There is a wonderful charm to their skull crunching brand of old school death metal. You feel yourself being rammed into a wall and held there, suffocated until you give up, a slave to the almighty groove. A highlight of the work for me is the power of the growls, they invoke an old school evil that doesn't really surface these days. Morbid Vomit get the triumphant evil of death metal and they also understand how ridiculous it can be at times. Wonderfully self aware and deliciously goring these buzzing Finnish maniacs will keep you listening for hours on end!